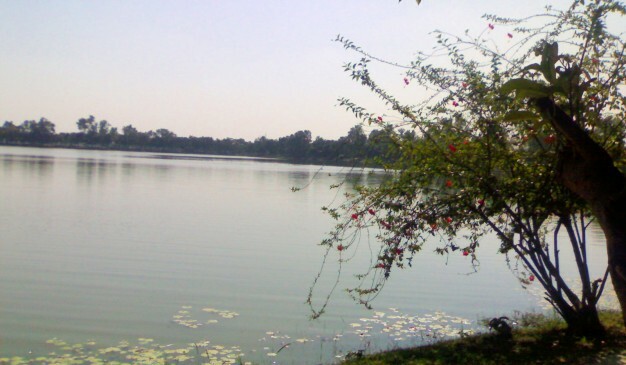 Nilsagar is a popular historical dighi (big pond). 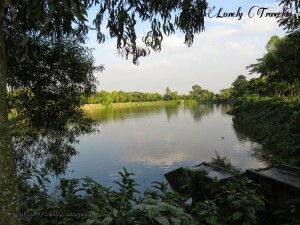 It is located at Gorgram union about fourteen kilometer south-west of Nilphamari district proper. During the time of Raja Birat there were lot of cow farms at Gorgram union. Raja Birat dug a big pond or dighi for the cows. There many name such as Birat Dighi or Birna Dighi or Binna Dighi. After the independence of Bangladesh the Dighi was renamed as Nilsagar. The total area of the Dighi (big pond) is 21.449 ha. The Nilsagar Dighi is encompassed by walls. The main embellished Front door of the Dighi was established by Raja Birat. Every year the banks of the Dighi are used as a village fair during the month of Baisakh. Every year lot of visitors and different type of migratory birds come here. Nilsagar is familiar as a recreation zone. A Hindu temple situated on the east bank and an abode of a Muslim saint on the west bank of the Nilsagar. From Nilphamari you can take rickshaw, Local bus and also use boat to visit this area. But, if you want to know how to reach Nilphamari from Dhaka, please click here. Address: Mohakhali Inter District Bus Terminal. It operates every day except Mondays. It operates every day of the week. Kaptai Lake is a beautiful blue man-made watery lake. The size of this Lake is approximately 11000 square kilometer, which was created as a reservoir when the Kaptai dam was built during the 1960. This amazing Lake was created by flooding valleys and plain lands between numerous hills all around the Lake. Kaptai has Bangladesh's only hydro-electric project. 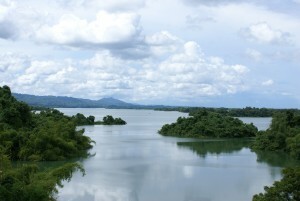 The Kaptai Dam on the Karnaphuli River created for this purpose resulted in the Kaptai Lake. This created a charming view as forested hills and plateaus rise from beneath the beautiful Lake water. A stretch of road connects the tourist spots of Rangamati and Kaptai. The road goes deep into the hill tracts and displays the natural beauty and wildlife of the district Rangamati. The government of Bangladesh run Tourism Corporation and many private operators offer Kaptai Lake Cruise Tours, which is worth of it. Other scenic spots are also accessible through the waterways. Cruising on the Kaptai Lake is an enjoyable way of observing the landscape as many great picnic spots, natural landmarks and historic monuments are accessible only by boats. 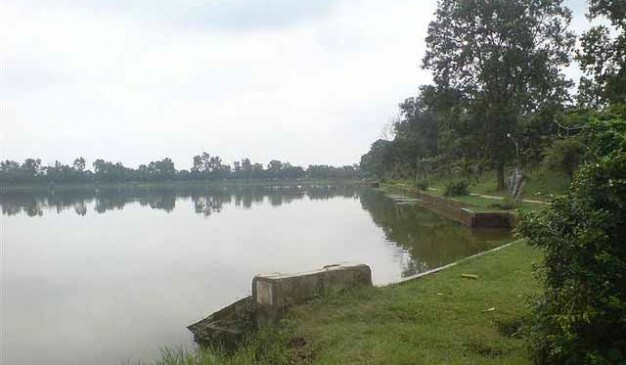 Bir Kamalar Dighi is situated in the Kakara Union of Chakaria Upazila. Its site was once full of archaeological relics. Mr. Abdur Rashid Siddiqui, in his research work “Rnoai Tatwa”, has made reference to a stone-inscription found on the bank of this tank. It could not be deciphered at that time. At present there is no trace of it. There is a reference of this tank in the “Rajmala”, the history of the Tippera kings. It has been described in the “Rajmala” that a tank was excavated by the Tippera army after it had attacked Roshang and penetrated up to Ramu during the reign of King Dhany Manikya of Tippera in 1513-14 A.D.
From this it can be supposed that the Tippera army had this tank excavated after the conquest of Chakria. It was named Bir Kamalar Dighi after Kamala Devi, wife of King Dhanya Manikya. 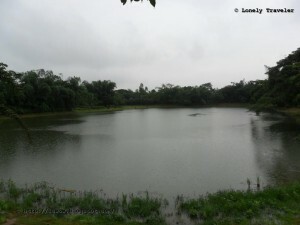 Upendra Sorobor (উপেন্দ্র সরোবর) is a rectangular shaped large pond that is located at the Nagarpur of Tagnail District. In English, the word 'Sorobor' means a lake. It was dug by the famous Zamindar of Nagarpur during 1381 of Bengali calendar, which is around 80 years from now. During that time the villagers needed to go far away from the home to collect water (for drinking and household works). To ease their water crisis, the generous Zamindar took initiative to dig this large water tank. This large pond has in total 12 ghats for taking baths. The Western side's one is the biggest one and it has a false gate on there. It also has a medium sized Banyan tree on there. Lot of local visitors use to gather here during the afternoon and they use to sit under that tree.